Suzuki is one of the brands which have managed to hook its customers by delivering products which are spectacular. Every time the company comes up with new models they are a perfect example of beauty and art. The company has excel the art of combining technology with the impressive exterior. So that the bike does not only hold the attention of audience but also, win the heart of rider. 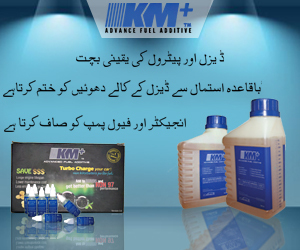 A brand which is more formally known as Pak Suzuki has been in the industry for decades now. They do not only manufacture motorcycles but their cars are equally popular in the country. 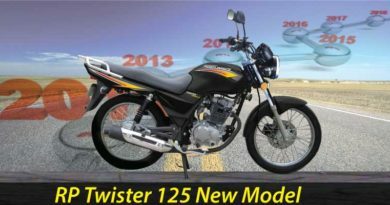 Recently, the company has launched another bike Suzuki GD 110 new model 2019 in Pakistan. Appearance wise the bike will leave one spell bounded. It’s a very pretty bike with fine features. Among so many great specifications, the bike is particularly popular for fuel consumption. 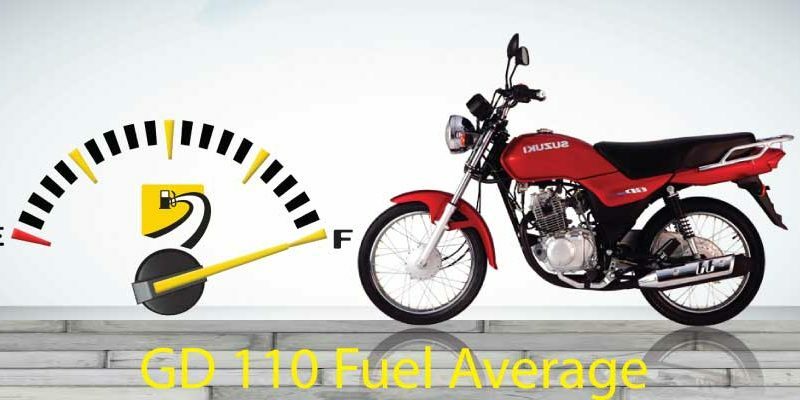 Suzuki GD 110 fuel consumption is economical and is said to have quite low fuel consumption. As the name suggests, GD 110 is 113 cc bike. The bike is given Euro II technology which means it environmentally friendly and emission of pollutants will be less as well. GD 110 is available in wide spectrum of colors including red, grey and black colors. On the contrary, GD 110 price in Pakistan 2019 is little high. Suzuki GD 110 price in Pakistan 2019 is PKR.119000. It may not be affordable by masses but obviously, the bike is designed for the certain market. Especially for those who have a high level of likeness for bikes. Suzuki GD 110 is one of the bikes which is finest looking in appearance. It is given very sporty stylish design. Particularly suitable for young riders. If one look at this bike, no one can actually tell that the price range of this bike. Its sleek, stylish and elegantly designed. Slightly high, staircase style seat and powerful fuel tank make this bike appear distinct from others. Moreover, the absence of graphics from the fuel tank is a plus. For some reason, the chunky graphics on fuel tank just take all the elegance away from bikes. 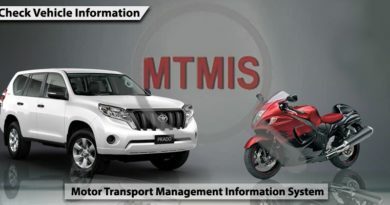 Pak Suzuki has kept graphic sticker use on GD 110 minimum which adds to bike beauty. Also, the GD 110 colors are not mainstream. The deep red, metallic grey and shiny black, the color tones are done differently. Suzuki GD 110 is given plastic mudguards and the back mudguard is uniquely designed along with aluminum alloy. Adding on, GD 110 is given crystal headlights which are huge. The mufflers are Black-Chrome plated for Better Heat Exhaust & Low CO2 Emission. Overall this bike is beautiful and pics of GD 110 certainly do not do justice to it. Suzuki GD110 is given powerful engine to offer smooth, bump-free ride. 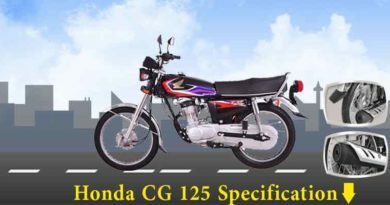 The bike is given 4-Stroke Single Cylinder Air Cooled, SOHC engine with 113cc displacement. The bore and stroke are 51.0 x 55.2 mm along with 9.5:1 compression ratio. The clutch type is Wet Type Multi-Plate with the 4-speed transmission. However, the bike needs to be kick-started and is given backbone type body frame. The dimensions of the bike are 1900 (lxwxh) along with 140mm ground clearance for added stability. Suzuki GD 110 has petrol capacity of 9liters and does give a good mileage of 65kmpl. The size of tires in front is 2.5 – 17 and size of tires in the back is 2.75 – 17. On the other hand, Suzuki GD110 has 108kg dry weight. The weight is kept little high which I believe is a good thing. Since its 110cc bike and at times of over speeding, the bike will remain in control and will not result in slippage. Suzuki GD 110 is one of the fine addition to the Suzuki family. This bike is indeed going to satisfy bike lovers in the matter of thrill. Also, the design is different and unique. One thing which could have been added was self-start option. Although the company did launch GD 110s in self-start option but obviously the price is more. Overall it’s a good bike.